Nice view with my sandwich today…as I sat here taking it all in at lunchtime Ciara called me saying ‘I can’t believe we live here’. ‘Where are you?’ I asked…and the reply was ‘On my way to the supermarket, I just pulled over to say that’. 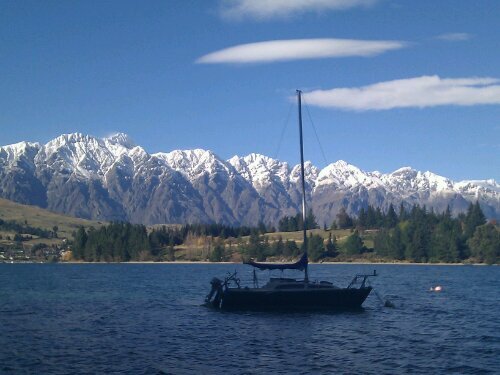 Queenstown …..we’re going to like it. Winter hasn’t even started for real yet and I can’t wait I’ll summer…so much fun to have before then!